So, you got yourself a brand new Moto Z Force Droid and now you want to move the data from your old phone to the new one! The problem is moving large amounts of data from one mobile device to Moto Z is not easy, especially from the one powered by iOS, Windows Mobile or Blackberry OS. Whatever the reason might be for moving data from Android/iPhone/Blackberry to Moto Z, it is recommended to use a computer in order to do it in the shortest amount of time. With the help of a PC, you will be able to transfer all sorts of data from other phone to Moto phone, including messages, contacts, photos, music, videos, call logs and calendars. Of course, it goes the other way around as well. You can also move all types of data from Moto Z to iPhone, Android or Blackberry. Other Phone Supported: Android (Samsung, HTC, HUAWEI, LG, Sony etc. ), iPhone 7/6S/6/5S/5/4S, Blackberry and Windows mobile phones. Motorola smartphones are now based on Android OS so you can transfer all the data from Android phone to Moto Z/X/G. The transfer process would be time consuming and a bit boring if you didn't find the proper way. For contacts transfer, you can sync contacts with Gmail on your old Android phone. 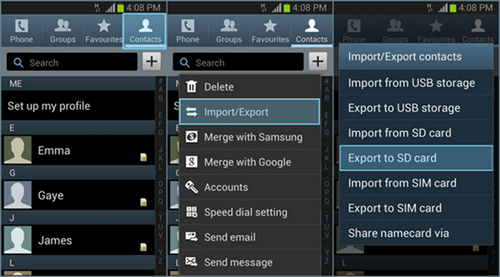 Then export the contacts from Gmail.com and import them back to Moto phone later. For photos/music/video transfer, you need to connect the old phone on a computer and find photos folders, then copy them on a computer and connect your new Moto phone. Finally, paste the folders. Because photos are stored on different location of the phone, so it is very hard to find all of them. For SMS Transfer, this is a bit tricky, as we can't do it by our own. We have to use third party apps to transfer them. You can read out this tutorial about SMS transfer, which is much easier. From my past experience, the whole process will take a few hours to complete if you decided to do it manually. The fact is that there is more efficient way out there. You can transfer all kind of content in one place and it only takes a few mouse clicks. However, you need to pay a few bucks because it is a commercial app. 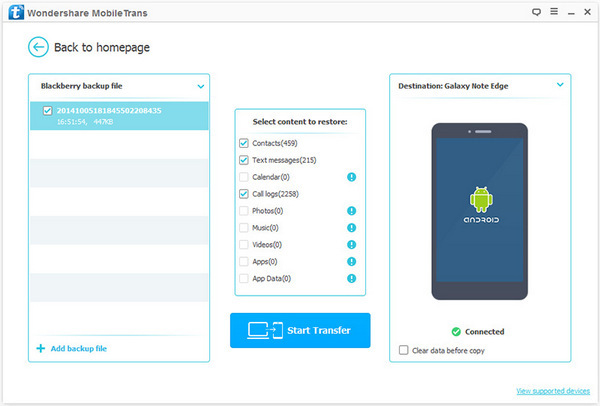 If you are interested, please check out this Android to Android transfer tutorial. iPhone is shipped with iOS, which is totally different from Android. Unlike the tutorial mentioned above, the data transfer is limited between the two devices. You are only able to transfer a few kinds of data. They are contacts, text messages, call logs, calendar, music, video and documents. App transfer is not supported. You get all of this when you use a program like PhoneTrans. Such programs allow you to solve all kinds of problems you might be having with your phone. If you wish to move data from iPhone to Moto Z, software like this one will help you. The best thing about them is that they're extremely fast, meaning that you'll make the data move in only a couple of moments. How? By following the steps in below! The first thing you got to do is install a program for data transfer on your computer. 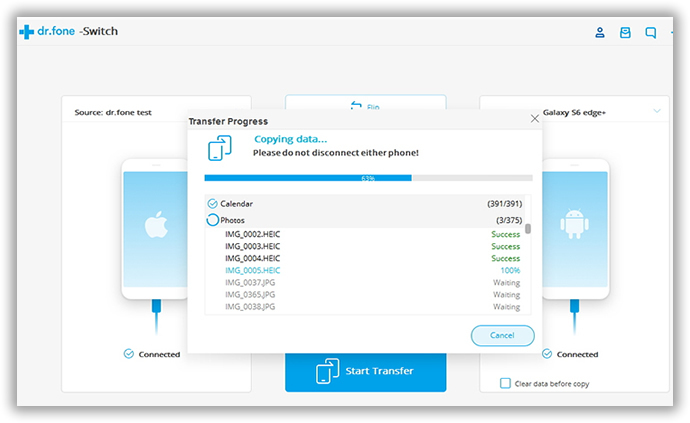 We recommend getting PhoneTrans as it's proven to work very well when it comes to moving data from iPhone to Android phones and the other way round. You can download this program on its official website. The installation is swift, lasting only a couple of minutes. Plug the two phones to the computer by using USB cables. You need to install Android USB drive and iTunes first. Now Open PhoneTrans app and click "Switch" on the main screen. The two phones will be detected in a minute and you can see the names on the window. In this step, you should make sure source phone is iPhone and destination phone is Moto phone. You can switch the positions by clicking "Flip" button. Now, select the data you wish to transfer by checking the option box displayed on the central. After that, click "Start Transfer " button to start the transfer process. Depending on the size of the data, this process can last only a couple of minutes. Please keep the phone well connected and the computer is in active state during the process. The transfer is the most difficult one when it involves Blackberry phones. As we know, Blackberry phones are much less than Android and iPhone so as to the Blackberry apps. Currently, there are only one app available for data transfer from Blackberry phones to Moto phone. It is called PhoneTrans. To transfer the data, you need to first backup your phone with Blackberry Desktop Software, then download and install PhoneTrans on the computer you just made the backup. Connect Moto phone to the same computer and open PhoneTrans app. Now, select "Restore from Backup" and choose the location of Blackberry backup file. Finally select the items you wish to transfer and click "Start Transfer" button to start the transfer process. If you still have questions about this method, you can follow this tutorial instead. It has more details on the topic. 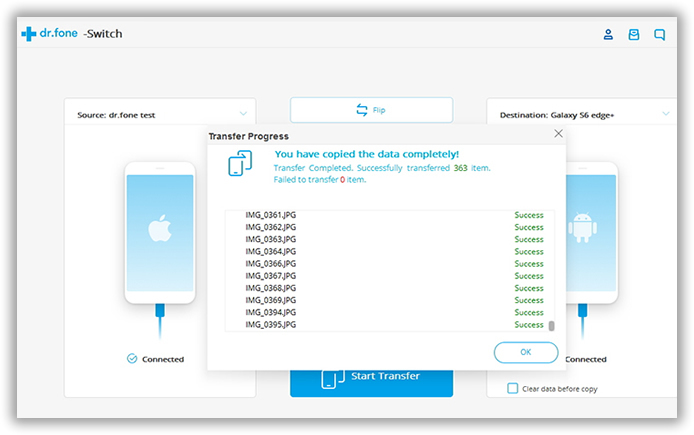 With the help of data transfer apps, the process becomes much easier and less time consuming. When you change device next time, the app is still in help with lifetime free upgrade. 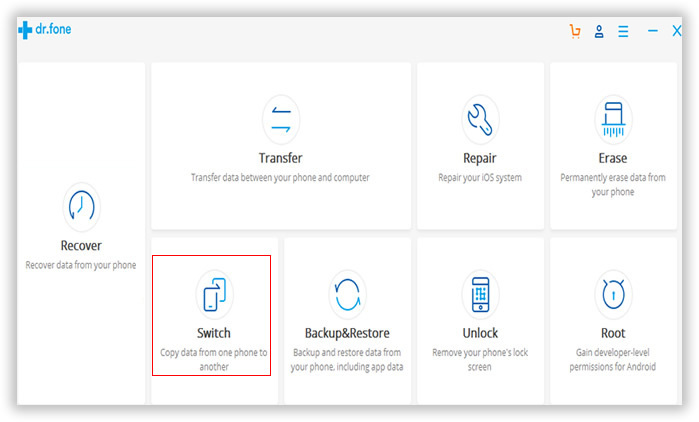 Apart from making it easy to move data from one mobile device to another, this app also allows you to create a backup file. Having a backup file of your phone data means that you'll always have it at your disposal! If your phone gets lost or damaged, you won't lose your valuable data, as it's safely stored on your personal computer.